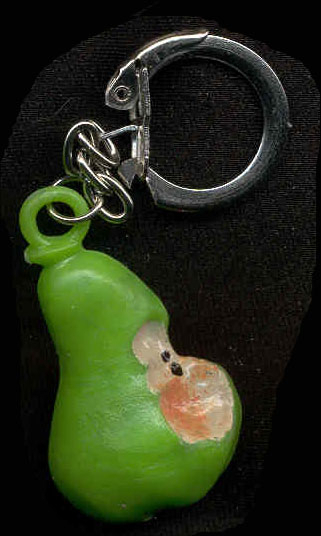 Huge Funky Vintage PEAR KEYCHAIN - BIG Fruit Tree Charm Jewelry - Large Mini Green plastic 3-D gumball vending machine charms, approx. 1-7/8-inch long x 1-inch wide. We guarantee You'll Go Absolutely FRUITY wearing these!